A number of recent articles in the investment press have focused on the rise of online investment advice, including so-called robo-advisors. 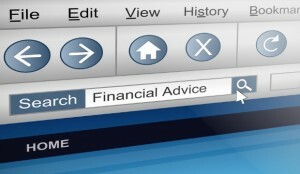 A recent article also discussed the trend of senior citizens using online advice to manage their financial affairs. 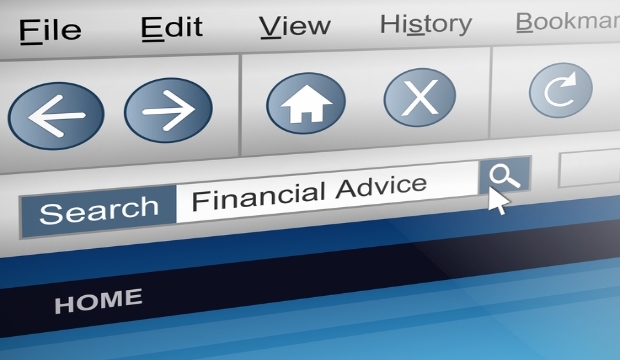 There are a number of issues that people should be aware of before relying on online investment advice, including robo-advisers. First, in most cases the public has no information as to the qualifications of the person providing the financial advice, including any potential conflict of interests that could taint the advice. Second, many of these sites rely on a software program, so-called asset allocation or portfolio optimization programs, to generate their financial advice. Many of these software programs are built upon some sort of spreadsheet program, such as Microsoft Excel. While such spreadsheet programs are excellent for simple problems, the fact of the matter is that such programs were not intended to be used for the numerous complex and interrelated calculations often required for asset allocation and/or portfolio optimization. As a result, such asset allocation/ portfolio optimization programs are highly unstable and often offer counter-intuitive and improper advice. Another issue with such software programs is their dependence on accurate input data. As one expert noted, such programs tend to exaggerate inaccuracies, “making mountains out of molehills.” Another issue with input data has to do with a software program’s ability to properly analyze such data. One real life example from my own experience had to do with a widow who indicated that she did not have any need for additional income. The reason that she did not need additional income was that her portfolio was providing income in the form of dividends and interest payments. The investment advisor, relying on his software program, recommended a total restructuring of her investment portfolio into more growth oriented investments, thereby removing her sources of income and causing her to incur unnecessary taxes and sales commissions. A simple, human analysis would have showed why she indicated that her income needs were being met and why the recommendation to change her portfolio was totally inappropriate. A couple of years ago I conducted a simple experiment. I searched online for “online asset allocation” and “online portfolio optimization.” I experimented with a number of the sites that came up from my search, using various hypotheticals to simulate conservative, moderately and aggressive investors, with various ages and personal situations. What I found was that most of the online programs recommended an investment portfolio made up of approximately 60 percent equity-based investments and approximately 40 percent fixed income-based investments, regardless of the personal parameters of the investor. The 60/40 asset allocation is historically thought to be the best allocation for long-term investors. However, a 60/40 allocation would be totally inappropriate for investors who were risk averse and/or whose investment objectives were “capital preservation,” “conservative,” or moderately conservative, ” which are often the choices, and the appropriate choices, for older investors and those who simply want to protect the money they have already earned. Noting these online issues is not intended to suggest that human advisors cannot make such mistakes or otherwise provide improper advice. The potential for human advisors to recommend unsuitable investment advice due to conflicts of interest is at the heart of the current debate over a uniform fiduciary standard, a measure that would require anyone providing investment advice to the public to always put a customer’s interests first. Currently, financial advisors who are not registered investment advisors can put their own interests ahead of their customers’ best interests. Simply put, the prudent investor will consider the issues with online investment advice and be proactive in investing and researching same before relying on such advice. Are 401k and 404c Plans Putting the Cart Before the Horse?